Hugh will be away from the farm from Friday 29th July to Saturday 6th August, during which time the farm will be cared for by Becky, Andy and Deb. There will be no volunteering/training sessions from now until Tuesday 9th August, when it will be 1 till 5pm as usual. Many many thanks to Heather and Robyn, two Canadians who left today having wwoofed on the farm for two weeks. 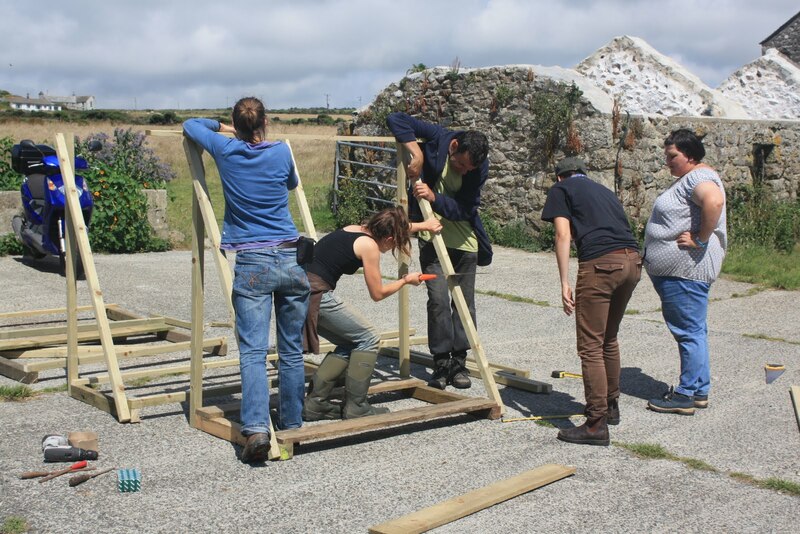 Your help has been much appreciated, and we wish you all the best on your next wwoof assignment. 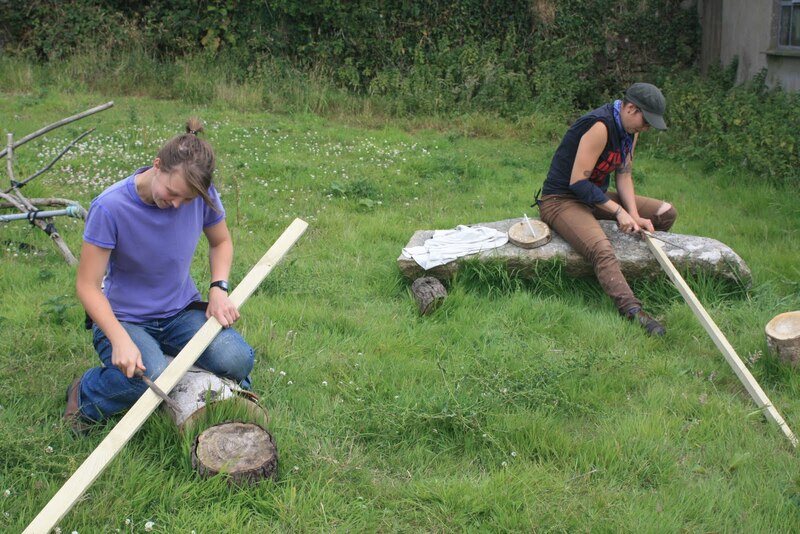 Heather and Robyn helping build chicken perches. Beginning back in March we have been preparing the farm to receive our second batch of laying hens. Last week we made the final preparations, and duly 200 new birds arrived on Friday. 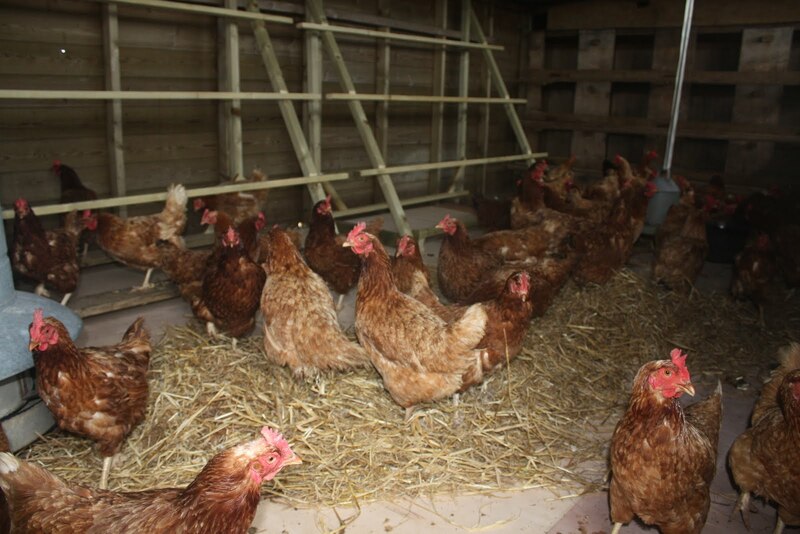 Due to supermarket contracts, birds are considered to be "spent hens" when they reach 72 weeks of age, and their eggs are deemed unacceptable for sale, so the birds are sold off cheap. 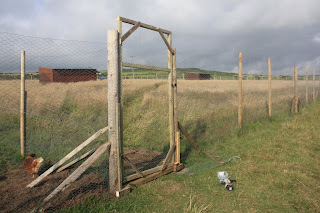 Our last batch of these 72-week-old birds have been excellent, and are still laying 36 delicious eggs a day between the 45 of them, so we bought 200 more - which meant a lot of fencing, housing, perches, drinkers and feeders to be up and running. 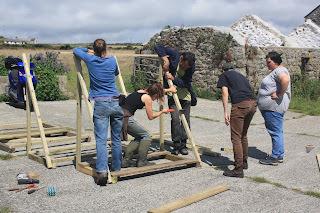 Building chicken perches last Thursday - with Heather, Becky, Jim, Robyn and Anne. Shed number 2 all ready for occupation. Shed number 3 looking cleaner than it ever will again. 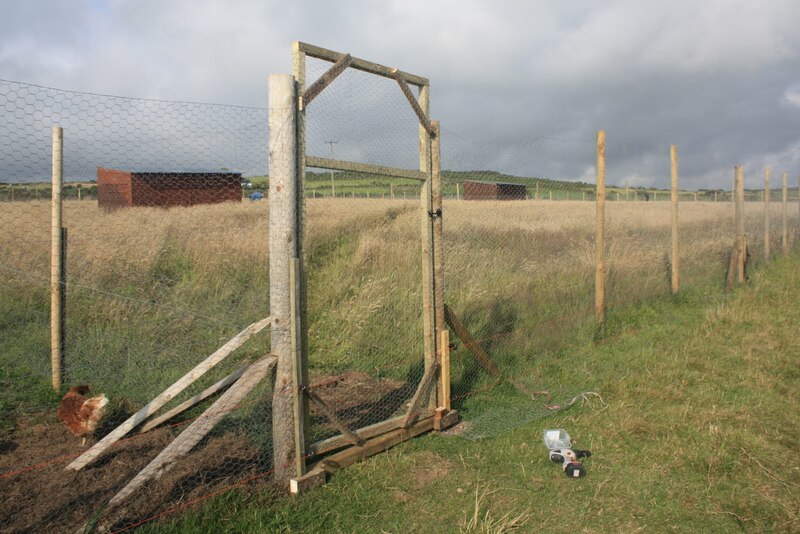 Due to the stress of the move, our new birds have temporarily stopped laying eggs, but we hope to have a lot more eggs for sale at the farm gate and at Pendeen Farmer's Market within the next few weeks. 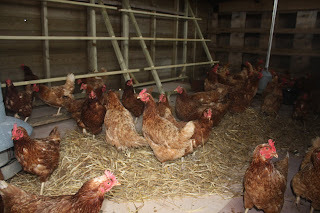 It will take the new arrivals a little while to settle down in their new home, as chickens are birds of habit and any change in routine can unsettle them. 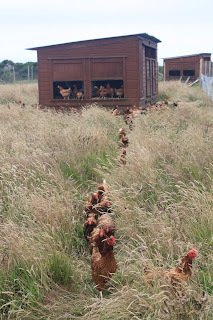 Eggs from our original flock are still available at the farm gate for £1.40 per half dozen. Chickens checking out their new home. Going for a stroll around their new garden. 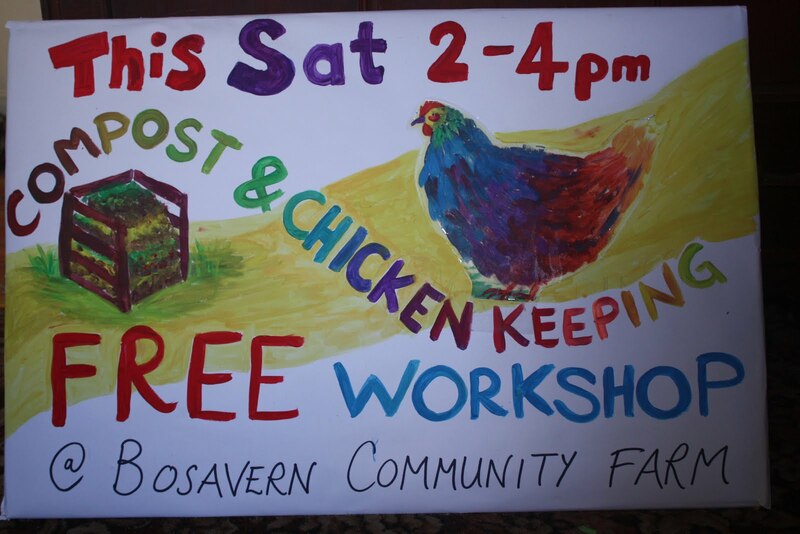 On Saturday July 2nd we held a chicken-keeping and composting workshop at the farm, from 2 till 4pm, free for anyone to attend. Despite advertising the workshop in The Cornishman, and putting posters around St Just, no-one came to the chicken-keeping hour, but three of our regular volunteers came for the composting hour. Hugh explaining the hot/aerobic composting technique used here on the farm. 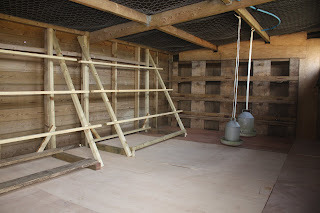 The chicken bedding acts as both a carbon-rich material (straw), giving structure to the compost and allowing ventilation, and a nitrogen-rich activator (chicken manure). Nettles are also a nitrogen-rich activator, while the rest of the ingredients act as "greens", providing energy to heat the compost and nutrients for the finished product. Moistening the heap to ensure good fast composting. For every two layers of "greens" added to the heap, we add one layer of "browns" (straw). The straw allows air to circulate through the heap, feeding the micro-organisms that enable fast hot composting. The heap will heat to 70-80 degrees Celsius, hot enough to destroy most weed seeds, and accelerate the composting process to make your compost ready for use within two months. The heap needs to be sufficiently damp, so watering is necessary at the beginning. Compost we made in early spring is already feeding the tomato, pepper, and aubergine plants in our polytunnel. Poster for market square, St Just. For more details of this method of composting please follow the link below to the webpage of Hotel Posada del Valle in Spain - the rest of their webpage and blog is well worth a read too. 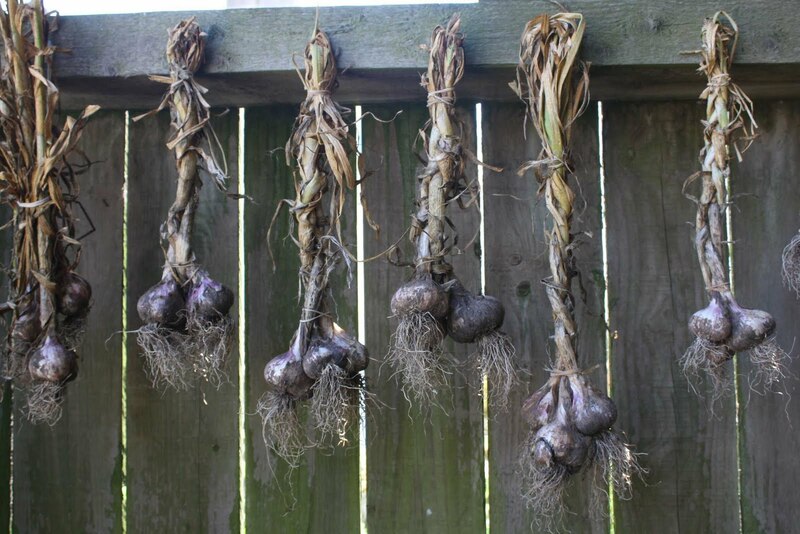 A few weeks ago, during some nice dry weather (seems a distant memory now), on one of our "picking and packing" Fridays, we harvested the onions and garlic that were the first crops planted outside, on October 7th of last year. 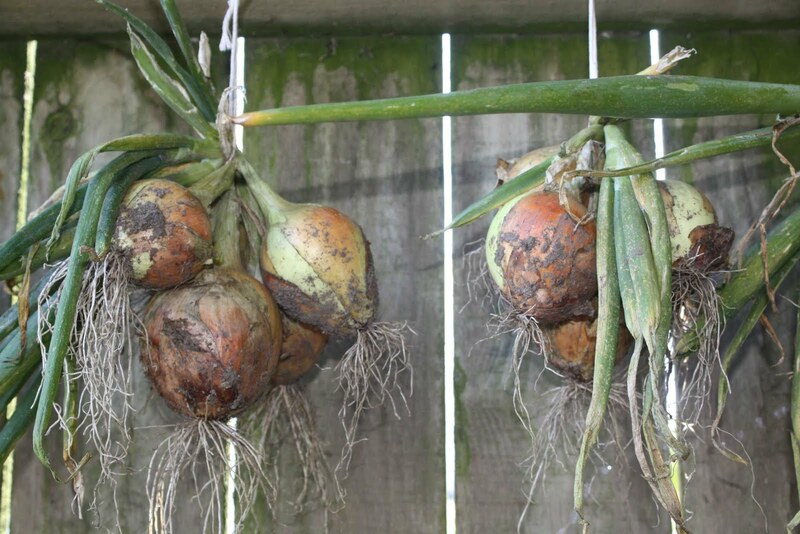 The onions were "radar" and the garlic "flavor", and both survived the harsh winter and grew well throughout the dry spring, becoming one of the first outdoor crops harvested this year. We tied them into bunches and hung them in the barn to dry. 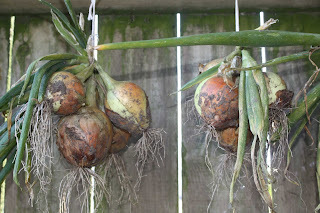 All the onions have now been sold, and some of the garlic too, though we're saving the rest for our veg-boxes. Sally and Rowan planting onion and garlic sets last October. 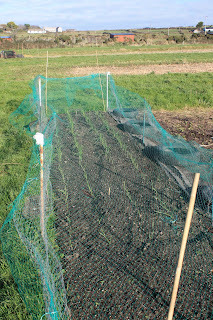 Baby onion and garlic plants last November. 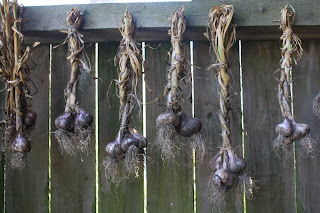 Garlic hanging in the barn to dry this July. Onions hanging in the barn before being sold at Lafrowda. Our most recent Wildflower Discovery Walk was held on June 30th, with 5 people in attendance - the biggest turn-out yet! 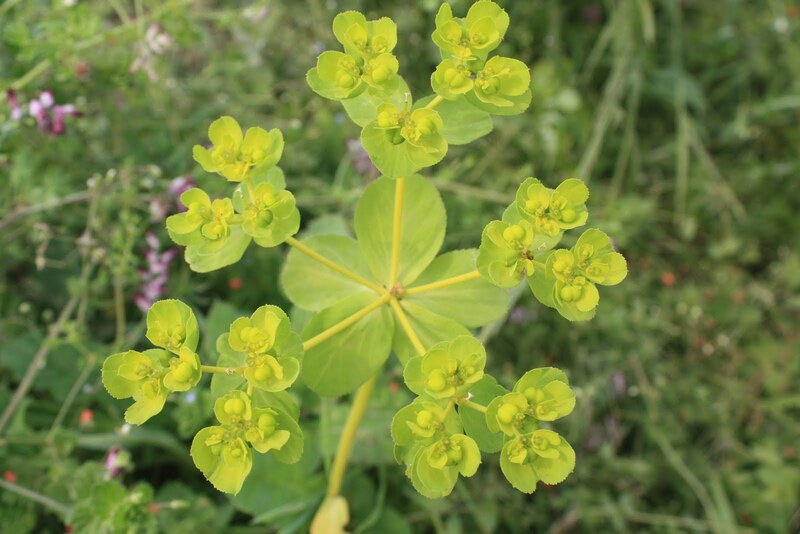 This time we focused on the "weeds" of vegetable gardens and farmland, and it's amazing how many species of wildflower can be found in your vegetable beds. Knowing their names and uses makes weeding far more interesting. Sonja, Joan, Malcolm and Andrew on the wildflower walk. 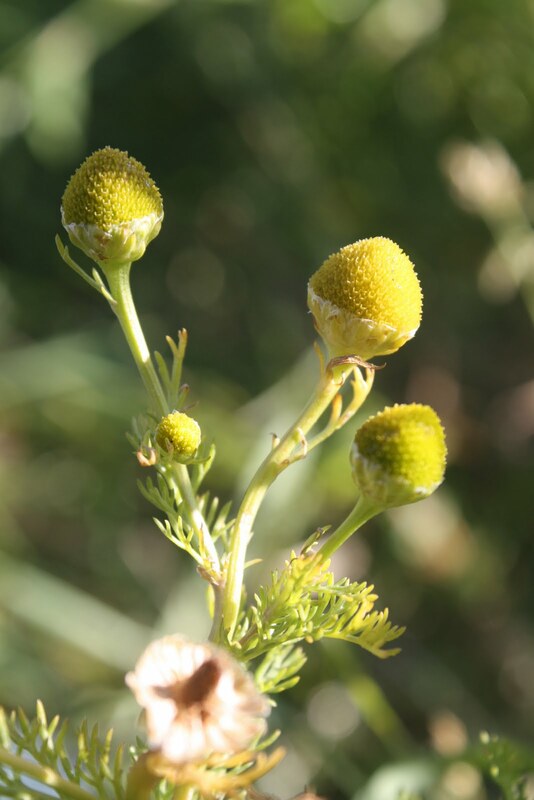 Pineapple mayweed, Matricaria matricaroides, with its distinctive pineapple scent. 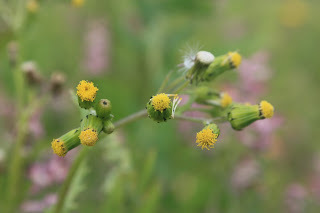 Groundsel, Senecio vulgaris, one of the world's most profligate seed-producers. 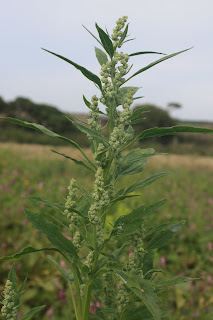 Fat hen, Chenopodium album, widely eaten before the introduction of spinach, and from the same genus as quinoa. 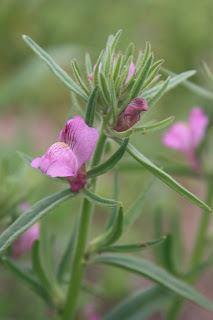 Rest-harrow, Ononis repens, also known as Spanish liquorice. Sun spurge, Euphorbia helioscopia, with its milky white sap. 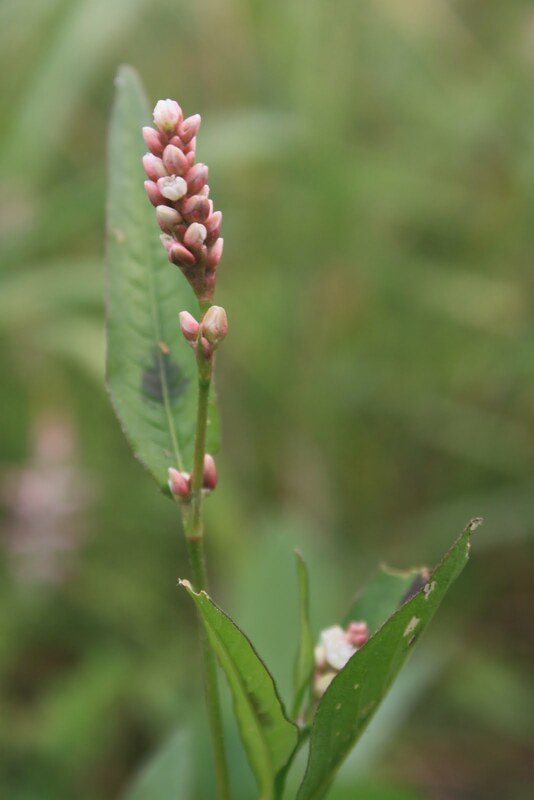 Redshank, Polygonum persicaria, a member of the dock family with striking dark spots in the centres of its leaves. Red dead-nettle, Lamium purporeum, no relative of nettle, but a member of the mint family. 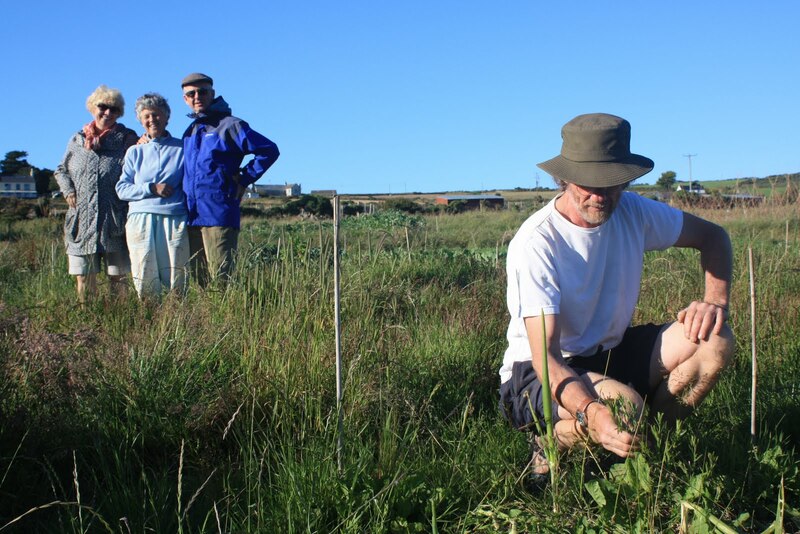 Our parent body, the Land's End Peninsula Community Land Trust recently published it's latest newsletter, which included the following report about the farm. 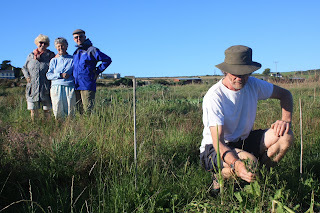 "Since Bosavern Community Farm's recent mid-term review, Cornwall Council have agreed to extend the current lease to April 2012. This gives the project an extra six months 'breathing' space and increases the opportunities around its key goal, to purchase the farm for continued community use. To this end a lottery application is currently being written and the group are researching the possibilities of selling shares. This has been used by similar community projects for 'investors' with an interest in social rather than economic returns on their investment. Another aim is for the farm to be community run and we now have a steering group whose job it is to advise and oversee the project’s business, finance and learning/training objectives. The steering group has three sub groups which meet regularly and then report back to each other. In the real world, down at the farm, the arrival of three local pigs (thanks to Tony Boynes) has caused much interest. Penny, Sage and Onion were stars of the 'Eggstravaganza' event this Easter and were named that day by some of the children attending with their families. It was a really well attended local event with lots of creative and fun activities from scarecrow making to a tug 'o' war (which the ladies took by storm!). Chickens are still happily laying the most beautiful eggs, and we sincerely apologise to those of you who have been disappointed when stopping at the gate or visiting us at Pendeen Farmer’s Market only to find them sold out. Every effort is being made to source more organic hens so thank you for your continued support and patience. 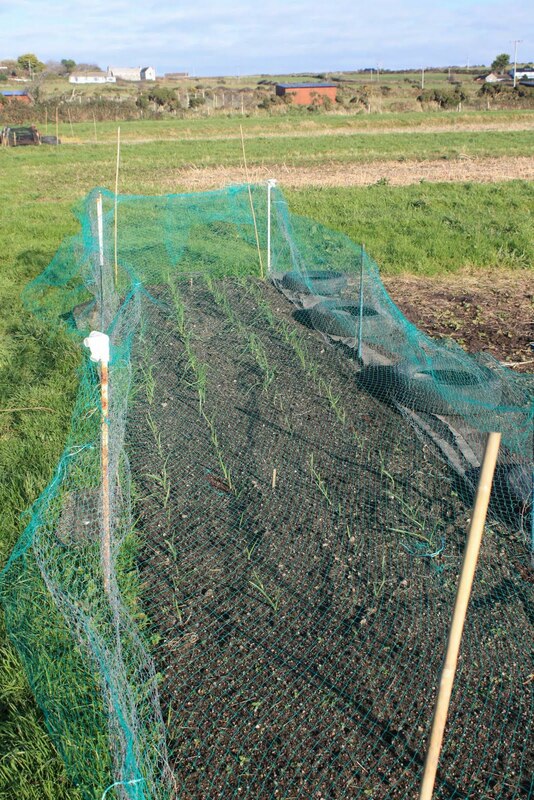 The vegetable box scheme is now underway and, although late in the season, it is hoped it will develop as the year progresses. It is planned to develop this as a Community Supported Agriculture scheme where people can invest their time or money in the actual growing of their veg boxes and have some say in what is grown. 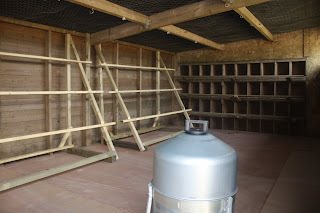 For anyone interested to know more or to sign up for the box scheme, as it is now, please contact the farm and talk with us. 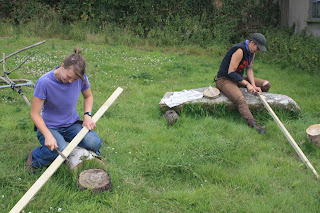 The farm has also run a number of workshops (all free) in green woodworking, chicken keeping, composting, rag rugging and raku pottery techniques. These are always advertised on the bosaverncommunityfarm website as well as locally in shops, the library and 'Down your Way' in the Cornishman. Anyone with a skill or special request for a workshop is welcome to come forward and share their ideas and we will do our very best to accommodate."